Steve points out that the 409Shop has a Waccom UV-5R for sale. The description says the unit is 5W. We've seen the other versions of the UV-3R (Magiksun, Comtex, Zastone), but the specs were normally the same. I still want to know if the UV-5R is a Baofeng product or if they are just re-branding some's hardware like they did with VeroTelecom and the UV-3R. Clearly, it is similar to the TYT TH-F8. True... but given that "bricking" something means it has been rendered unusable, that might not be the best marketing idea. I do want to see if this is different or if the 5W is a mistake of some sort. Same hands as in the Baofeng video, Waccom branded radio. Was it ever determined if the supplied antenna is Dual Band or 1 x Antenna 400-480Mhz? The product description says 1 x Antenna 136-174/400-470Mhz. 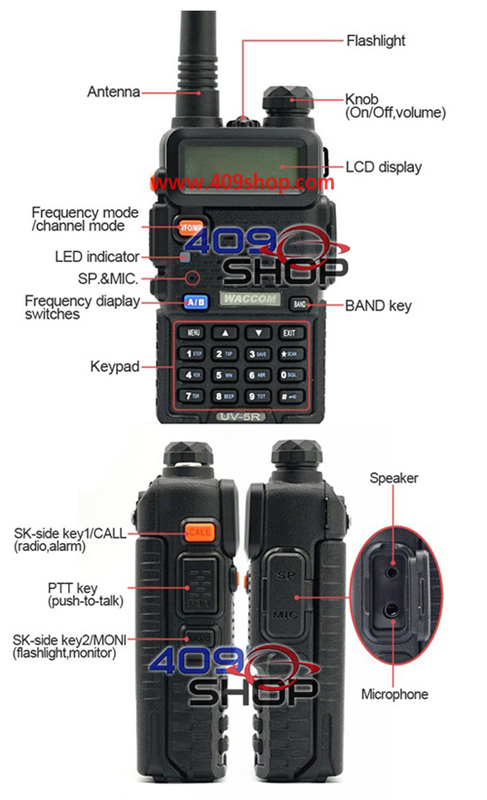 I need for WACCOM UV-5R Dual Band UHF/VHF Radio software download free please help me!! !